If you’re like many Christians, the emotions you feel can create more questions than answers. Dealing with our feelings isn’t always easy and sometimes the situation seems beyond our control. Worse, if emotional confusion goes unchecked, it can affect our faith in God and even our relationships with other people. This guide was designed to help you address these perplexing emotions. Our goal is to shed light on the reasons why we let our feelings get the best of us. 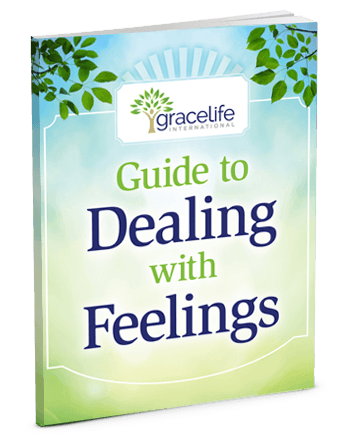 Download our free resource the The Grace Life Guide to Dealing with Feelings. This concise 12-page guide tackles the perplexing passages listed above plus several others. Subscribe to our Grace Life email newsletter today and get this confusion-clearing, faith-building resource for FREE!